It's only a wee one, but had to be picked up. Both pictures blow up to a good size. Found just south of Exeter. Underside appears to be like sandstone, only harder. Not flint, or chalk. I was thinking Coral, but I'm usually wrong. It's a colonial coral. 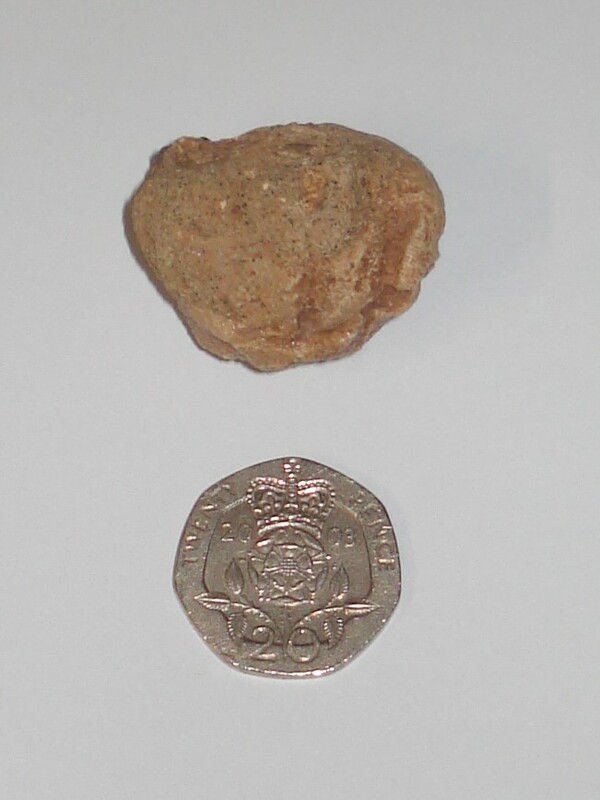 Hard to ID from the outside but it might be a Cretaceous Gault/Upper Greensand one in a silicified sandstone. Was it from around Haldon Hills? There's a famous bed called the Haldon Coral Bed (which I've never seen, just read about). 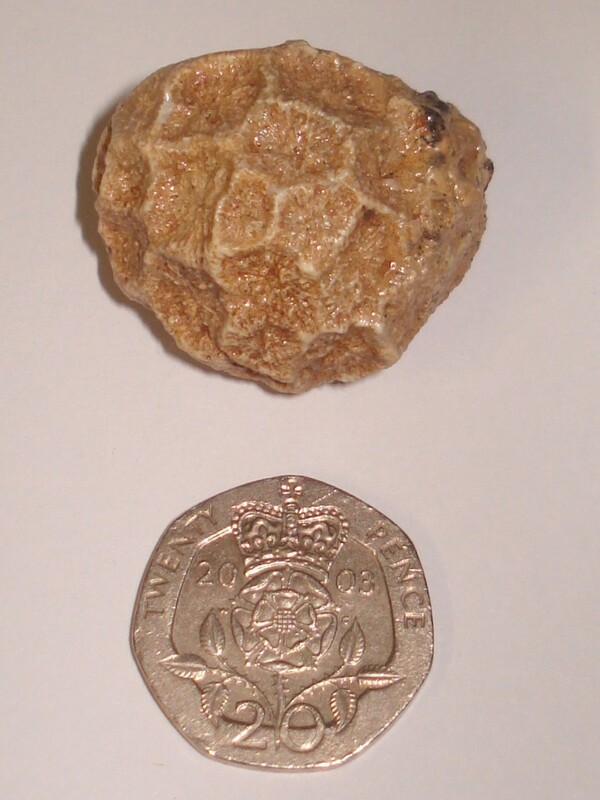 Yes, it was found down the valley from Haldon Hills. Nice little specimen. Looks like there might be enough surface detail to ID to genus level if you know your Cretaceous corals (which I don't), or can locate suitable reference material. 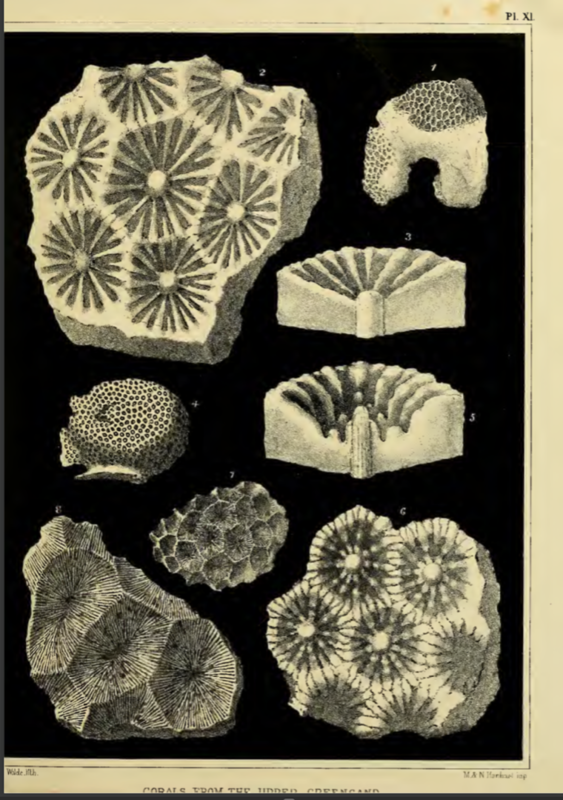 Modern references on these are hard to come by but here's a plate from the classic Monograph of British Fossil Corals, 2nd series, Duncan (1870). Nice one, Tarquin; it does indeed look about right.